The effect of making money stimulates the enthusiasm of the basic people to enter the market. [Make money effect to stimulate the base people to enter the market enthusiasm New fund explosions frequently out of the old fund frequently limit purchase] With the A-share market significantly warming up, the effect of the partial-share fund earning money has highlighted, stimulating the enthusiasm of the people. Recently, the number of new funds funded by many star fund managers has exceeded RMB 3 billion, and many funds have even raised their funds in advance. In addition, some of the outstanding stock-based funds also frequently issued trading limit announcements. As the A-share market rebounds significantly,Partial stock fundThe effect of making money has been highlighted, which has inspired the enthusiasm of the people. Recently, many starsfundManager is in chargeNew baseThe first fundraising scale of gold exceeded 3 billion yuan, and many funds even ended the recruitment in advance. In addition, some high-performing partial stock funds also frequently trade quotas.announcement. Oriental wealthChoice dataShow that this year, the newly established partial stock fund in the first two months (ordinaryEquity fund+ partial stockHybrid fundThe total scale is 15 billion yuan, with an average size of 405 million yuan. With the further rise of A-shares, partial stock funds have been more sought after since March. As of April 12, less than one and a half months, the newly established partial stock funds had a total initial size of 47.607 billion yuan, with an average size of more than 1 billion yuan, and the size of many funds even exceeded 3 billion yuan. These funds with a scale of more than 3 billion yuan are headed by star fund managers without exception. In early March,Southern fundNanzhi Zhicheng, the vice president of Shibo, was established. The first fundraising scale was nearly 3.8 billion yuan. Shibo said that this will be his own work. After half a month, Ruiyuan Growth Value Release FundcontractEffective announcement. The fund is run by the public veteran Fu Pengbo. The subscription size exceeds 10 billion yuan in half an hour. 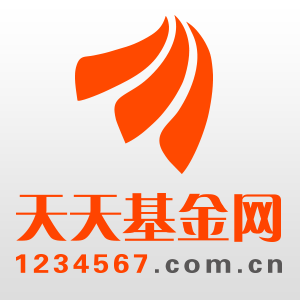 The subscription size exceeds 70 billion yuan in one day. The release is completed in one day. The final placement ratio is 7.03%, and the initial fund size is 5.875 billion yuan. In early April, it was the world of young fund managers. Qiu Dongrong’s value of Zhong Geng’s small plate raised 3.267 billion yuan in five days, and the fundraising ended early. On April 9th, Qiujie’s contract for the opening of the Qianhai Open Source Quality Growth Release Fund was announced, and the final fundraising scale reached 6.514 billion yuan, which was also the early termination of the fundraising. A fund manager in Shanghai said that at present, there are explosion funds in the market, and the fundraising scale has just arrived. This is the pricing of active management capabilities. In the next three years, with the reconfiguration of resident assets, the entire industry will come. Said to be spring, but rightfund companyFor fund managers, it will be a big differentiation process. In addition to the high enthusiasm for the new fund purchases of the excellent fund managers, investors will also bet on the past performance funds. The Shanghai Stock Exchange found that many recent excellent funds have issued announcements to limit the amount of purchases. Central European FundThe three funds managed by the excellent fund manager Zhou Yingbo have issued announcements to adjust the transaction limits of the agency channels since April. Taking the new normal of Zhongou Mingrui as an example, the fund issued an announcement on April 1st, stating that if a single fund account is single- or multiple-accumulated, single- or multiple-accumulate purchases, conversions, and periodic quotas for a single fund account through a single-sale channel. The amount of the investment exceeds 500,000 yuan and the company will have the right to refuse. On April 12th, the purchase restriction was further upgraded. The China-Europe Mingrui new normal announcement was made again. From April 15th, the transaction limit was further adjusted from 500,000 yuan to 100,000 yuan. Similarly, Bank of Communications Schroeder's star fund manager He Shuai manages the Bank of Communications Alpha Core and Bank of Communications Advantage. On March 23, the above two funds all announced the announcement of adjusting the business quota for large-scale purchases (conversion transfer, regular fixed investment). Take the core of the Bank of Communications Schroder Alpha as an example. In addition to the restriction on the application for single purchase and conversion transfer of RMB 100,000 or more, the cumulative purchase and conversion of the individual fund account on the same day amounted to RMB 100,000. The above application for purchase and conversion transfer will not be confirmed. A fund manager with a fund management scale of more than 8 billion yuan in Shanghai said that on the one hand, when the market sentiment is more exciting, it will limit purchases and guide investors' sentiment. I hope investors can earn money by buying at the right place. On the other hand, for fund managers, the management of different fund scales will take some time to adapt. After the investment framework is further updated, there will be new impetus to liberalize the scale. I have been there yesterday! Laugh at the mad dog biting!